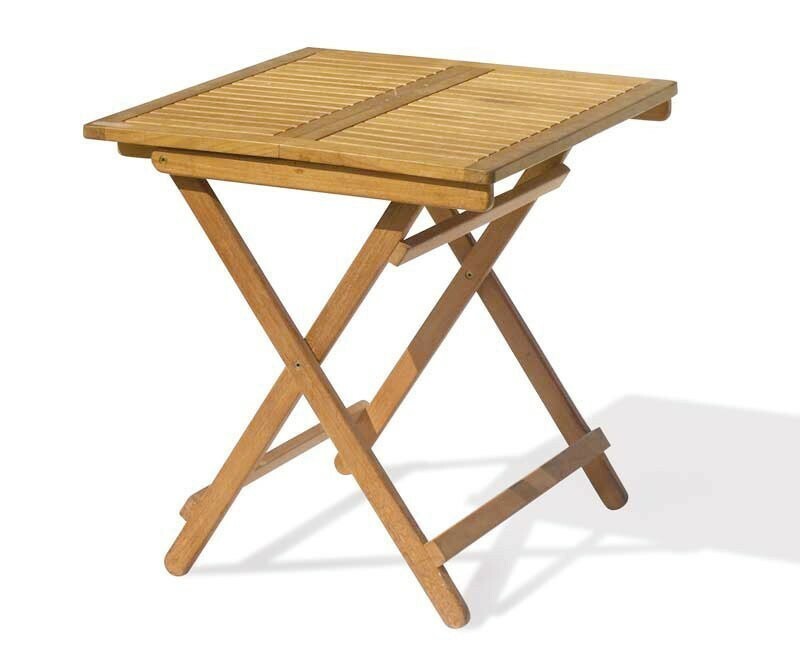 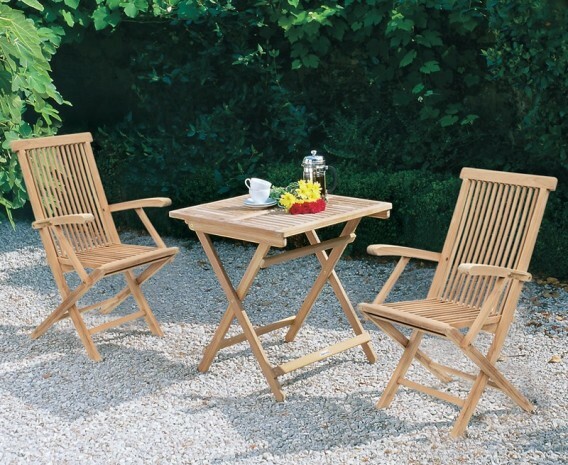 A wonderful addition, this teak patio garden folding table and chairs set is perfect for smaller outdoor areas. Offering plenty of options for al fresco dining and entertainment without sacrificing a great deal of space, this patio garden folding table and chairs set has been expertly manufactured in plantation grown, sustainable grade-A teak for life long durability and aesthetic appeal. 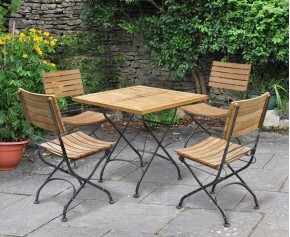 Designed with practicality and style in mind, this outdoor 2 seater folding dining set features a clever space saving fold away design, allowing you to make the most of your outdoor space when not required; What’s more this stunning outdoor 2 seater folding dining set can be left outdoors all year round with minimal maintenance, ensuring stress-free fruitful use for years to come. 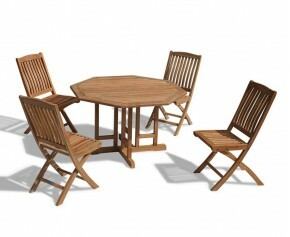 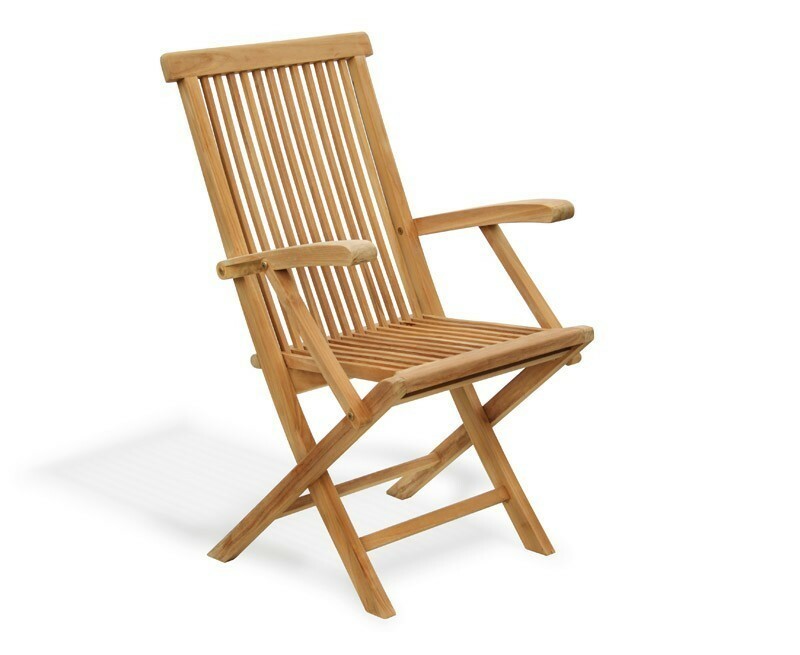 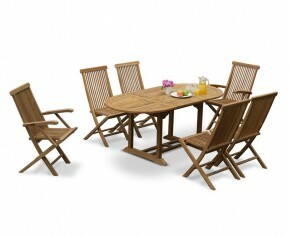 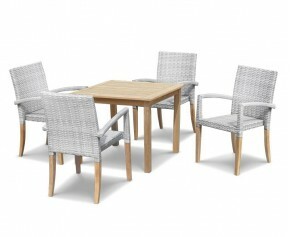 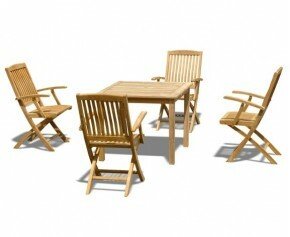 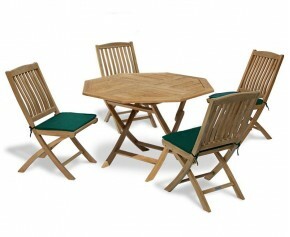 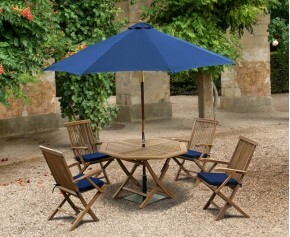 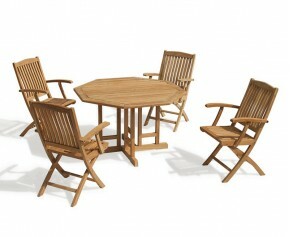 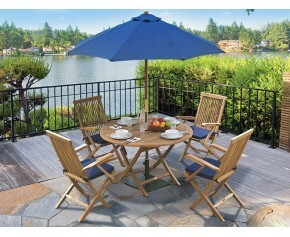 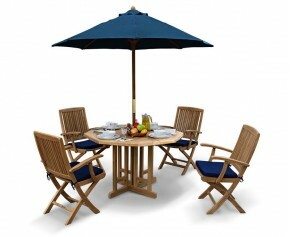 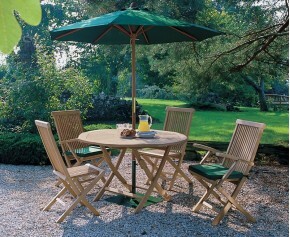 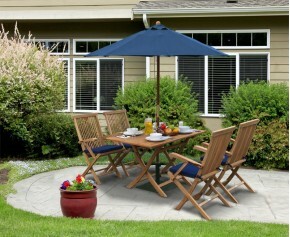 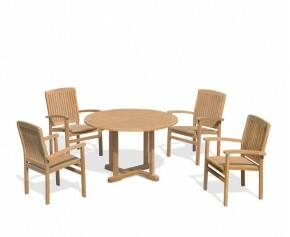 This teak patio garden folding table and chairs set will be delivered pre-assembled for your immediate enjoyment.